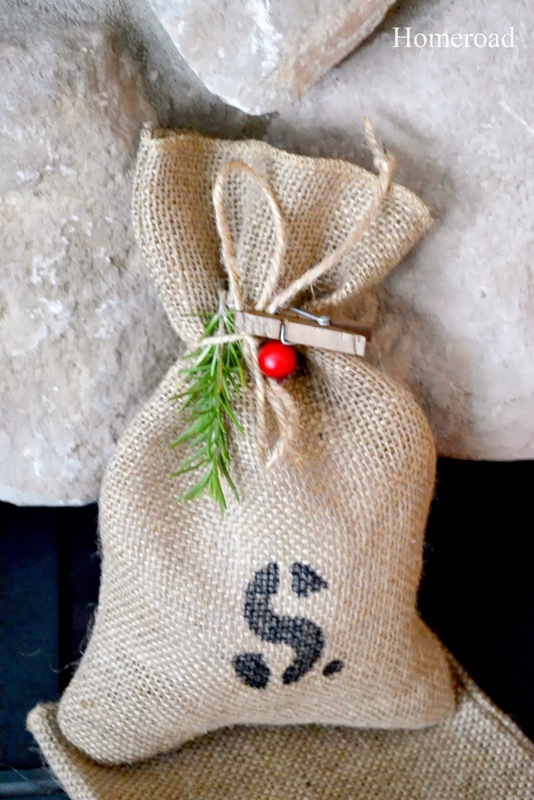 Wrap your gifts in some fun this Christmas! 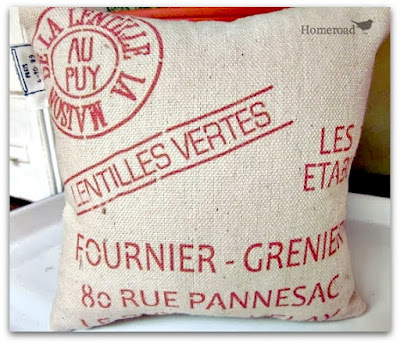 I created these bags from a roll of burlap. 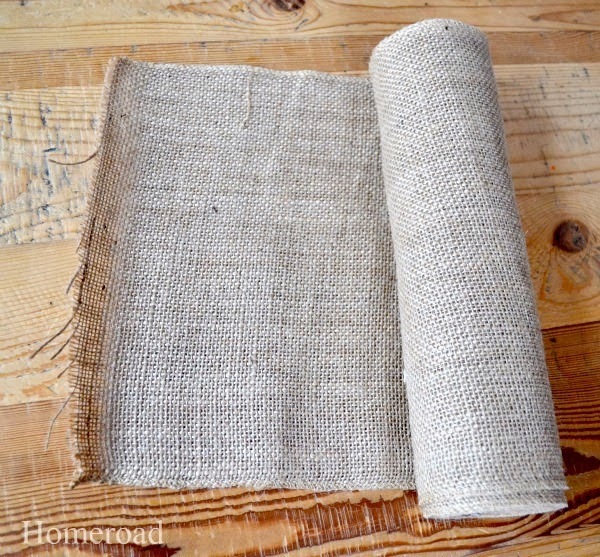 I cut a piece the size I needed from the roll then sewed around 2 sides. The finished salvage end goes at the top opening. 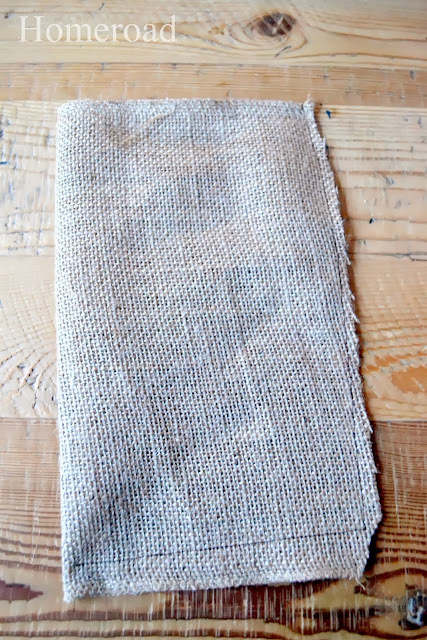 The bag is then turned right side in. 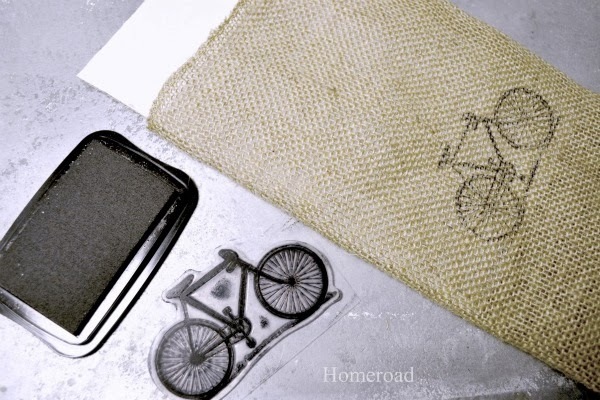 Using one of my favorite rubber stamps, (Stays-on ink) I added a decorative stamp to the bag. 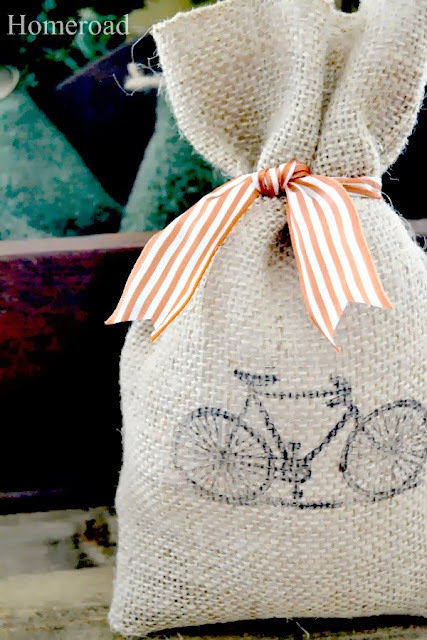 The bag is then filled with a gift and tied with a decorative ribbon. Perfect for Christmas or any gift giving occasion. 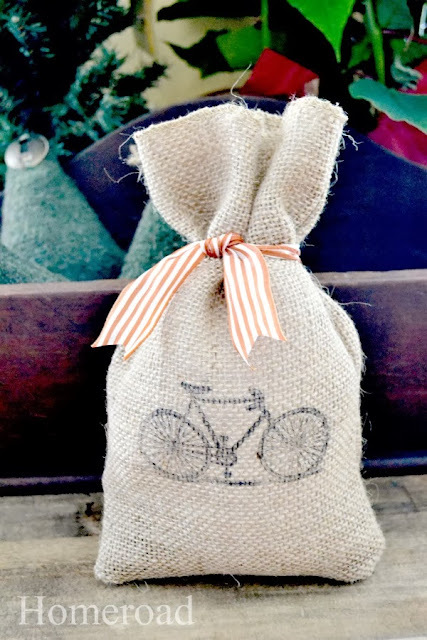 Cute bags and great idea - I have some of that burlap too, hmmmm. Thanks Susan!! Thanks so much Heather! Hope you made some. 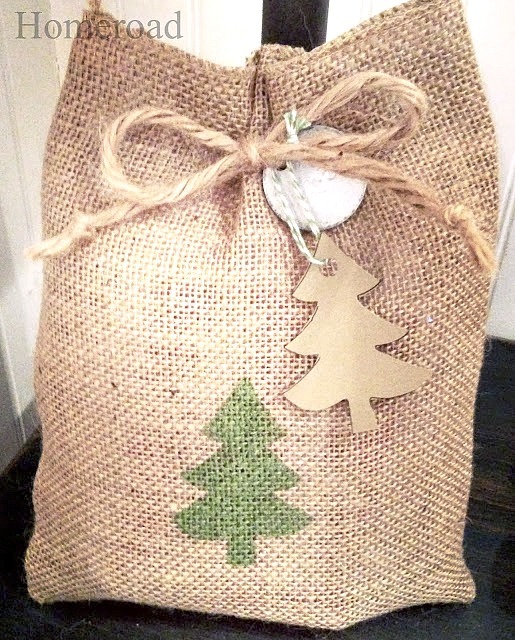 The burlap bags are really cute!! 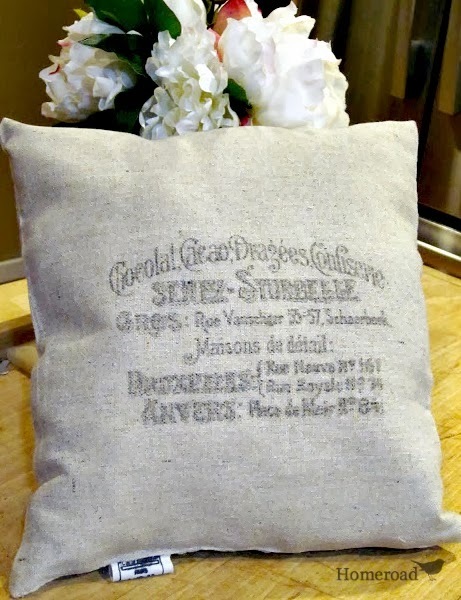 I love burlap and these are adorable!